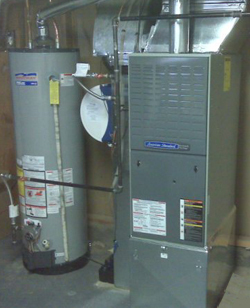 JG Mechanical Offers Furnace Repair in Centennial, Colorado. JG Mechanical, a family owned and operated business understands the importance of heat during the cold fall & winter months and provides the fastest service possible to keep you and your family warm and comfortable. Keeping your family warm in the fall and winter months is not an option so when you need Furnace Repair Centennial CO then give us a call at 303-694-2277 Today! Our trucks carry a lot of parts needed for many repairs so that we can have your Furnace Repair Centennial CO completed in the same day for your convenience. Remember, you can avoid most repairs by having a simple tune-up once a year before the winter season even starts to avoid any furnace down-time. 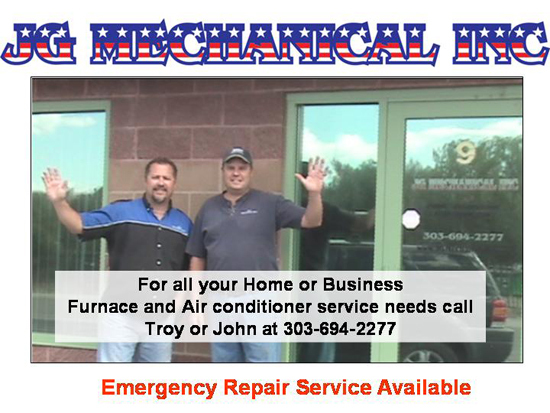 For the best Furnace Repair Centennial CO give JG Mechanical a call and have your heating problems fixed fast! Call 303-901-3751 & tell them that you found this phone number on the "Furnace Repair Centennial" page of JG Mechanical's Website!